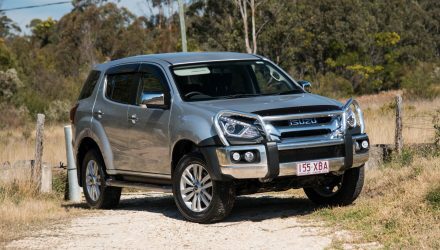 The Isuzu D-Max has come along way in just a few years, with sales creeping up far enough on the veterans that it currently sits in as the fifth favourite (July VFACTS) among new ute buyers. 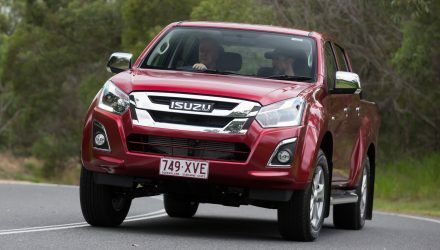 For the 2018 model, Isuzu has introduced a number of refinements and tweaks to help the D-Max keep up with the rivals. 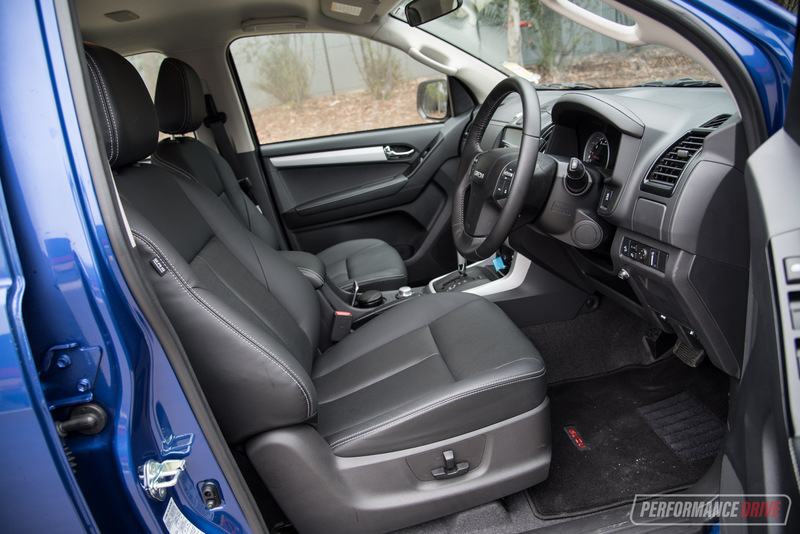 Comfort levels inside are at higher levels and there’s improved or updated technology for added convenience. Some changes to the suspension have also been implemented for a better ride. 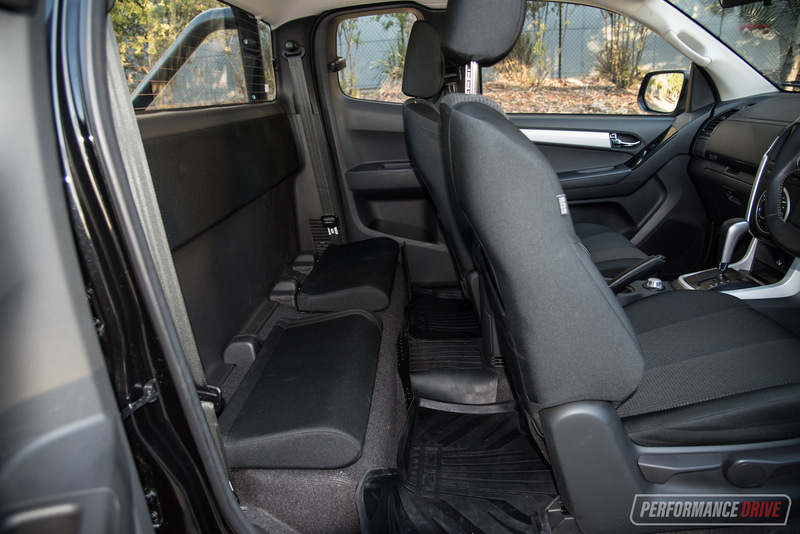 For years the D-Max has been known as the rugged and dependable but perhaps least refined proposition in this market space, in terms of the interior packaging and comfort. The MY2018 version looks to remove that latter connotation through the use of higher-quality materials and revised features. In the LS-T you get a set of leather-wrapped seats that are perforated for better air circulation, with revised side bolsters and headrests made with polyurethane leather for improved durability. 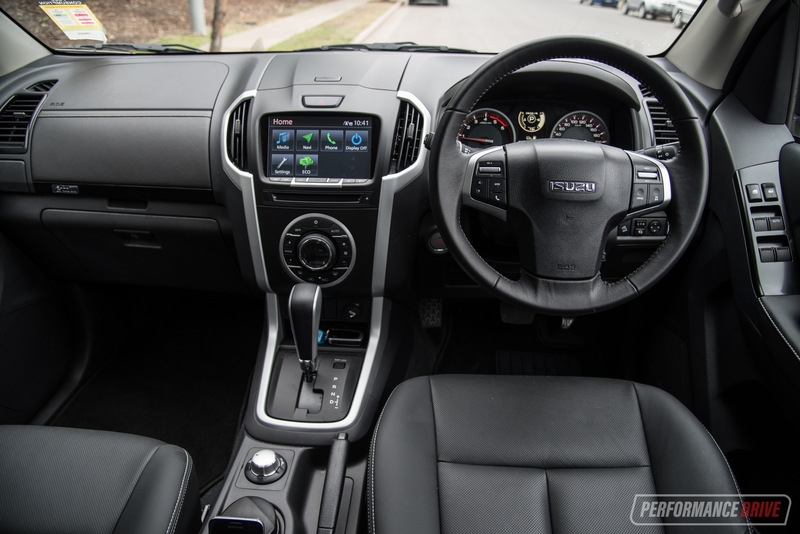 Isuzu has also applied some soft-touch and non-slip highlights around the cabin, such as soft-touch for the steering wheel, door arm rests and centre rest, with gloss black for parts of the dash and chrome for the door handles for a premium look. 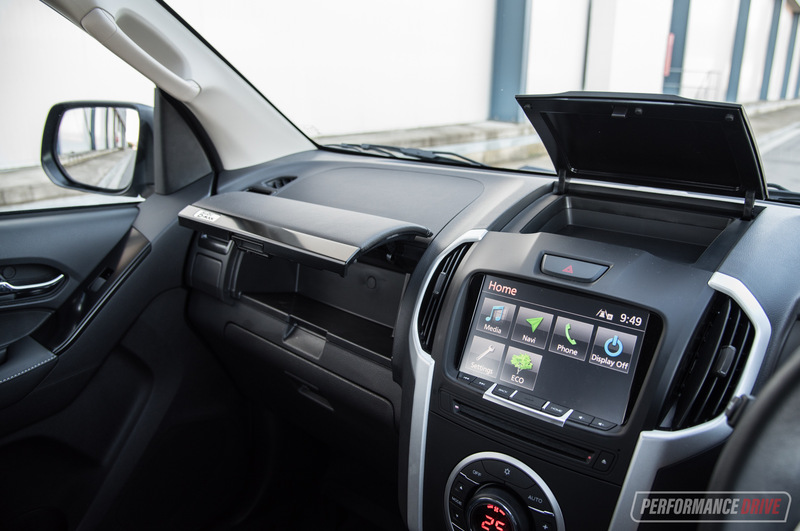 In our opinion the D-Max’s interior is one of the easiest to live with. Yes, it can come across as quite basic, but everything you need is here and it’s all presented in an easy-to-see and easy-to-use way. 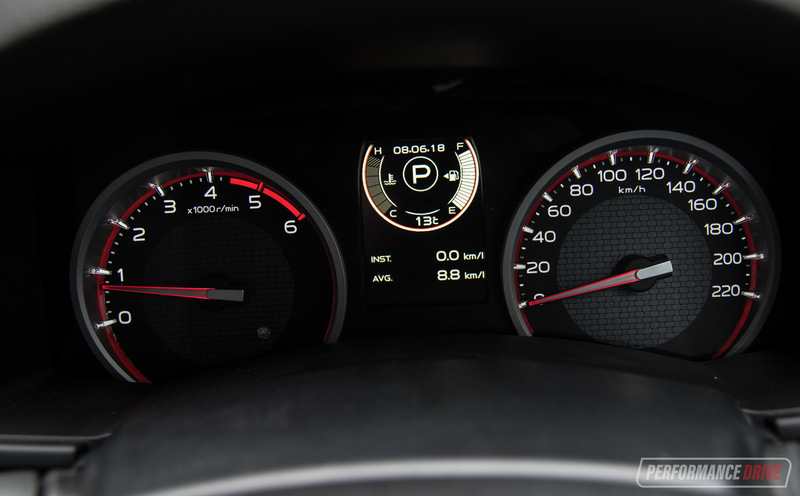 Take the big climate control dial right in the middle of the dash, as an example. It incorporates big, clearly-marked buttons around the outside and the main dial turns to control the temp. 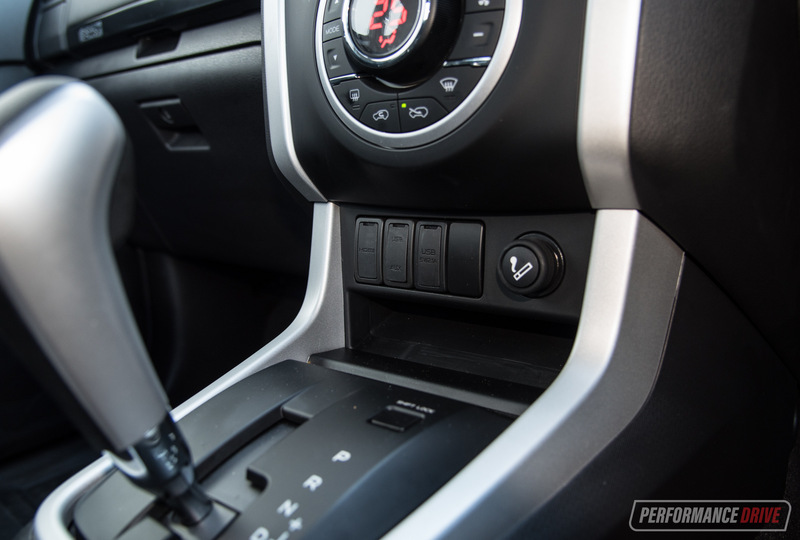 New to the range is a 2.1-amp USB port just in front of the gear lever (up from 1.0A), and a USB port for the rear passengers in the back of the centre console. 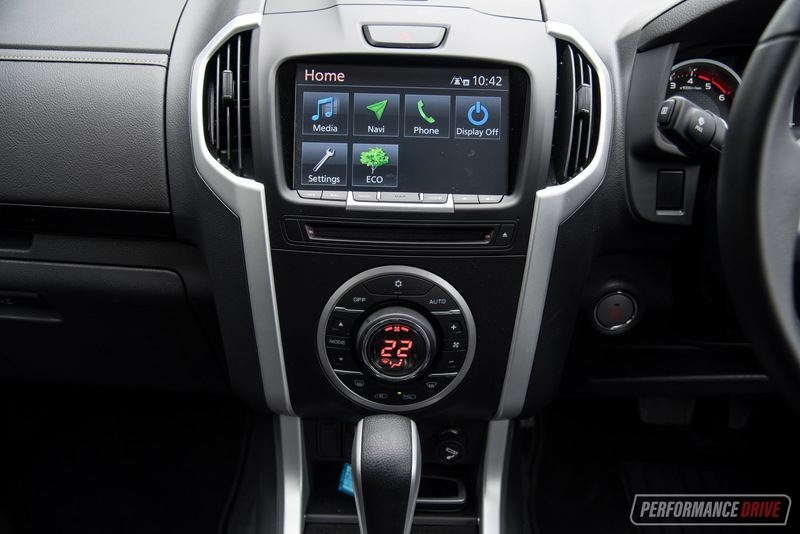 Up above that you’ve got an 8.0-inch touch-screen media interface. This, again, is one of the least-complex systems around. A handful of main buttons skirt the lower edge, and while there isn’t Apple CarPlay or Android Auto, you do get sat-nav and multi-format media playback including Bluetooth streaming in both the LS-T and LS-U. 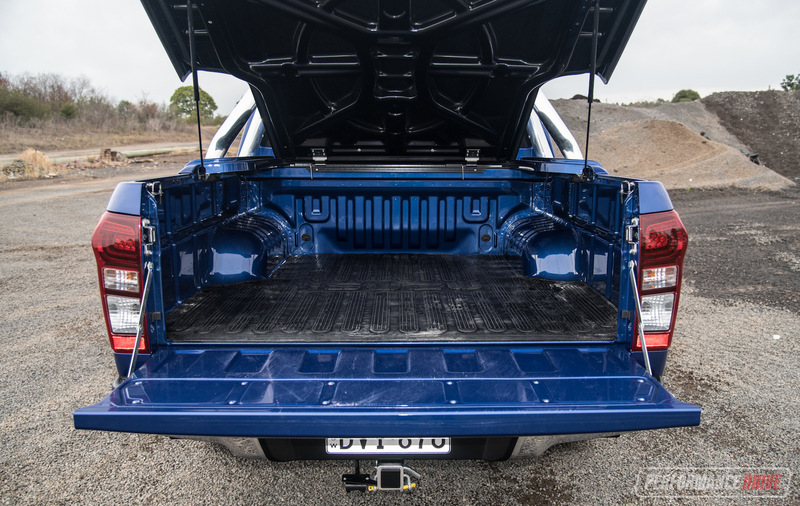 A rear-view camera is now standard on all ute models, and optional on cab-chassis variants. 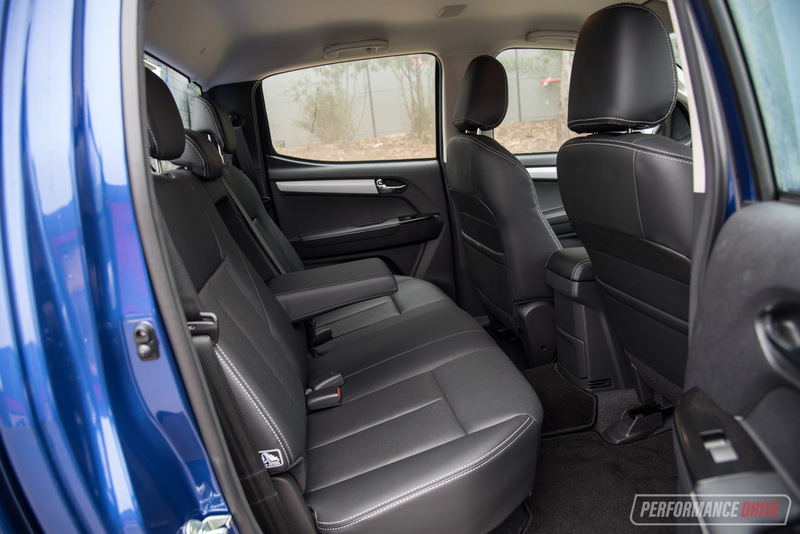 Passenger space is about average for this segment, with ample headroom and legroom in the front. 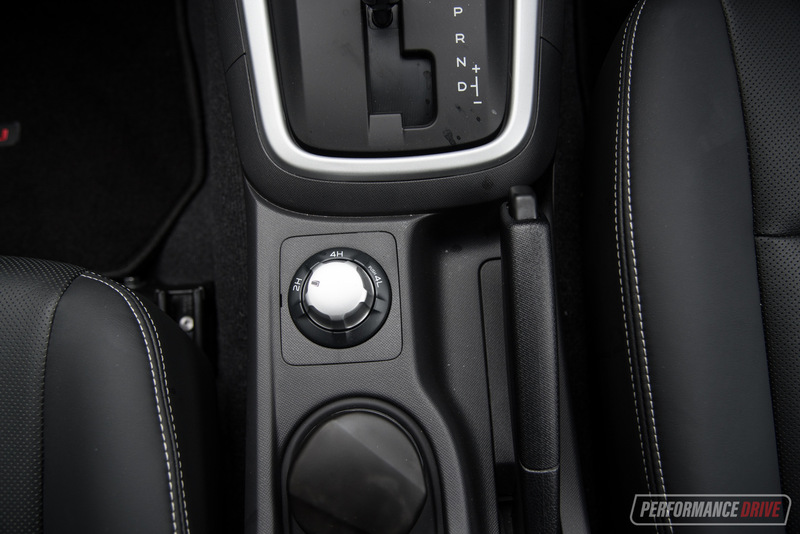 There’s also plenty of storage options around, including bottle holders in the doors, a tray in the centre console and a cup holder, with additional pop-out cup holders near the climate vents. 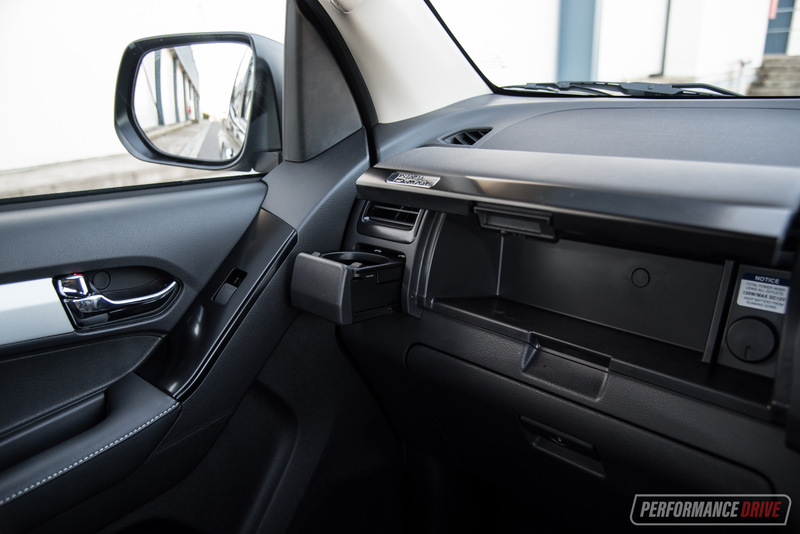 There’s also dual glove boxes and another concealable tray that sits atop the dash. Rear seat space is a bit tighter but it’s not the least accommodating in the segment. The width of the rear bench is pretty good and can seat three adults, but like the rivals the seatback angle is a little too upright for optimum long-distance comfort. There is a flip-down armrest from the middle seat in the LS-T, and child seat anchor points. You can stuff two people in the back of the space-cab variant, but the lack of proper cushioning means anything but short trips are likely to become very uncomfortable. None of the rivals offer anything better in this department anyway, for the space-cab layout. 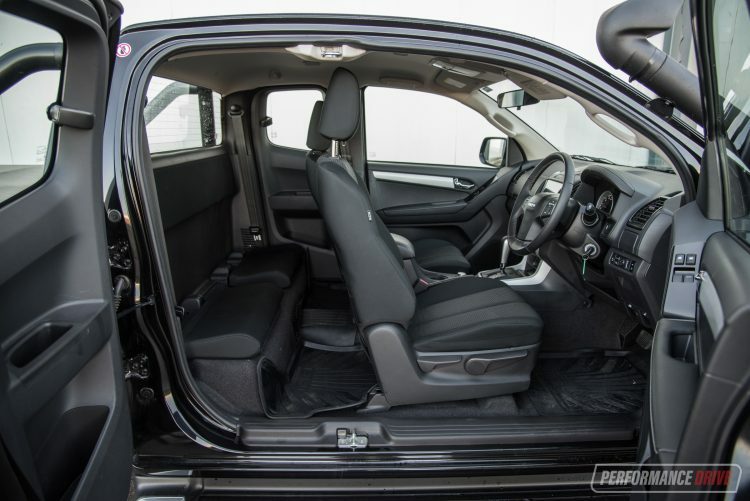 On the other hand, if you really need the extra tray length of the space-cab you can view the seats in the back as a bonus, and use them only for emergencies or for those occasional trips with visiting friends or family. For MY2018 Isuzu has revised the servicing plan so that scheduled intervals are every 12 months or 15,000km (instead of 10,000km in the MY2017). Capped pricing is also covered for five years or 75,000km, whichever comes first. 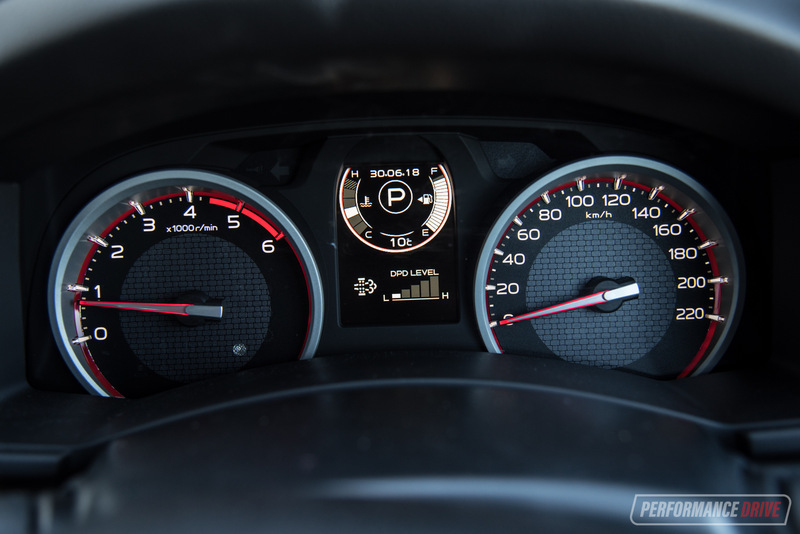 The only main rival that can top the service intervals is the Nissan Navara, which is scheduled for every 12 months or 20,000km. 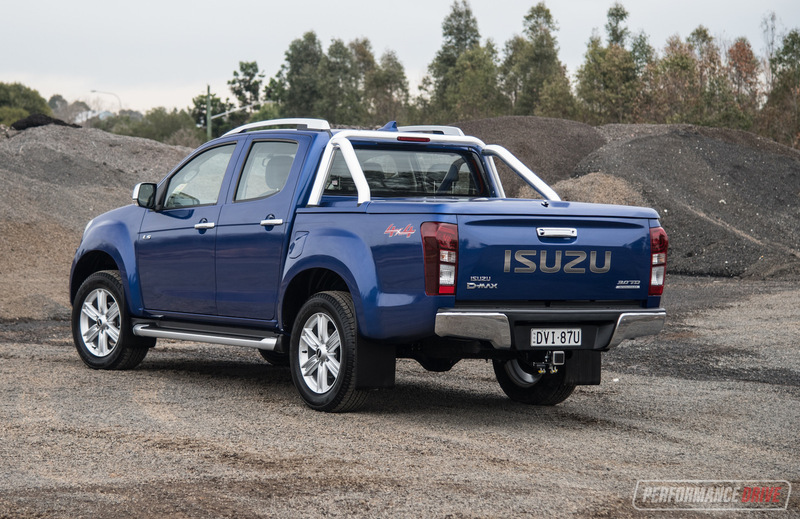 The Ford Ranger and Mitsubishi Triton match the D-Max, while all others need servicing more frequently. 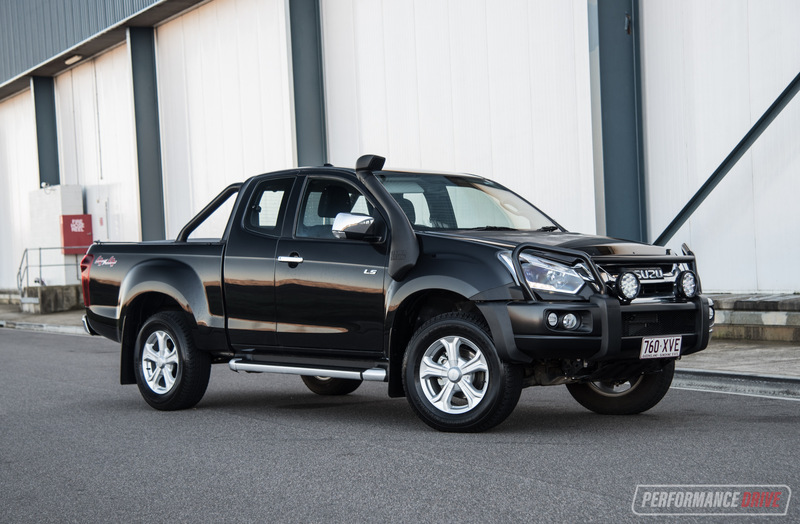 All D-Max models are also covered by a five-year/130,000km warranty, with five years roadside assistance. No changes are made to the powertrain for MY2018. 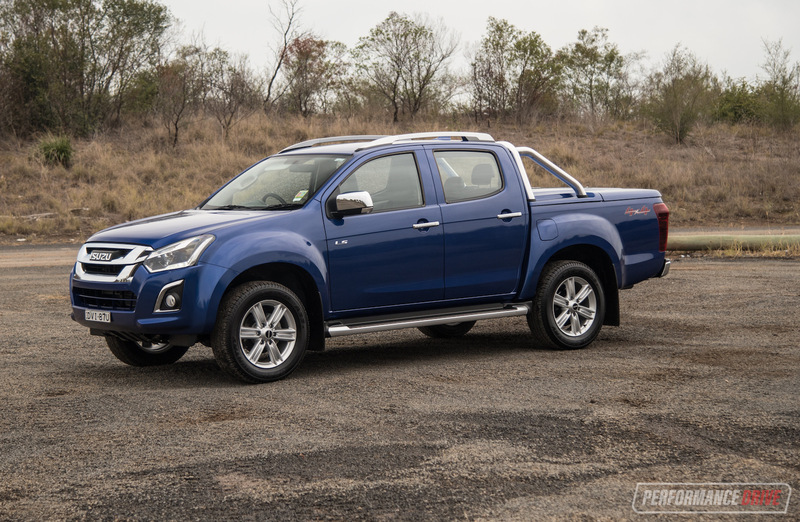 However, that’s a good thing as the D-Max features the only 3.0-litre turbo-diesel four-cylinder in this class – the biggest-capacity four-cylinder. It produces a class average 130kW and 430Nm, but the outputs aren’t the key attraction, like with any vehicle in this segment. Buyers in this market often put towing ability and off-road performance above outright power. 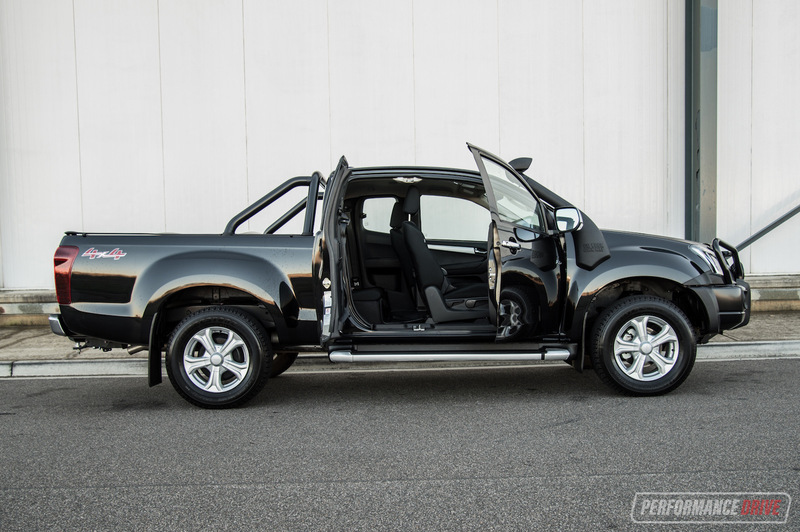 With the 3.0L engine the D-Max offers great engine braking, unlike smaller-capacity four-cylinder units that require less effort to rotate, compressing small cylinder volumes. 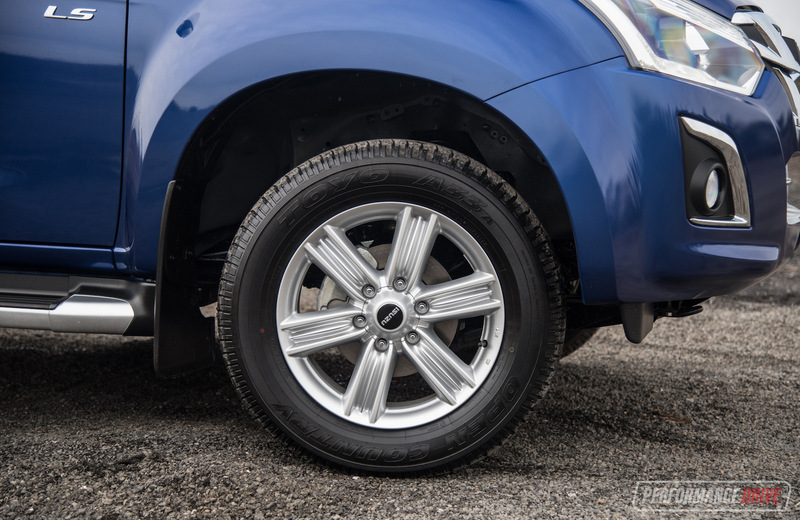 This makes the D-Max ideal for towing as you can rely on the gears to help slow down the outfit. 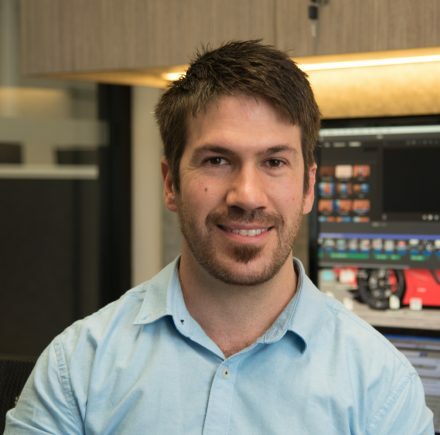 Isuzu has improved towing safety for MY2018 as well, introducing trailer sway control for all models except the base SX 4×2. 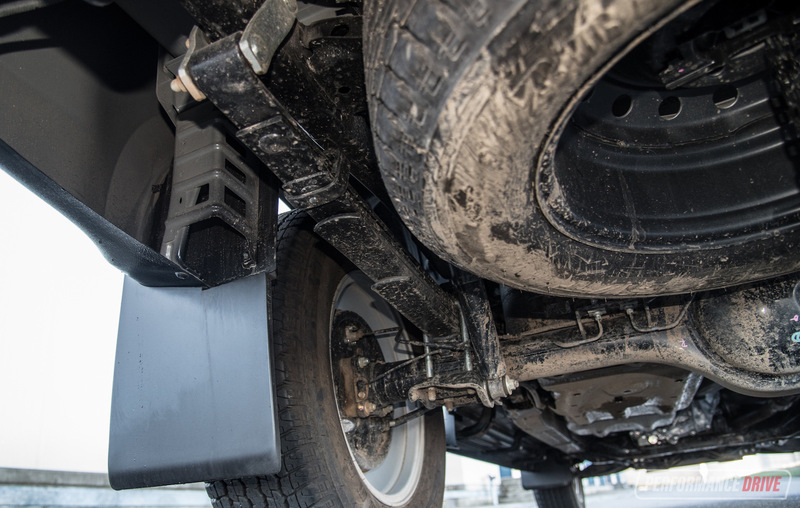 The technology uses the on-board stability control system to help calm a swaying trailer or caravan. With 430Nm of torque (the stuff that pulls heavy loads), the D-Max is a respectable performer among its four-cylinder friends. We timed 0-100km/h in 10.83 seconds, which is actually pretty good for the class. Mid-range grunt is what you’ll find the most useful, with top-end power plateauing off like with most diesel engines – peak power is achieved at 3600rpm. Engine noise is perhaps the main drawback compared with the rivals. There’s the unmistakable clatter and knock which we think is more apparent in the D-Max than most of the competitors, with only a narrow rev window that provides a settled cruising thrum. Fortunately, this comfort zone is when travelling at 80-100km/h on the freeway. 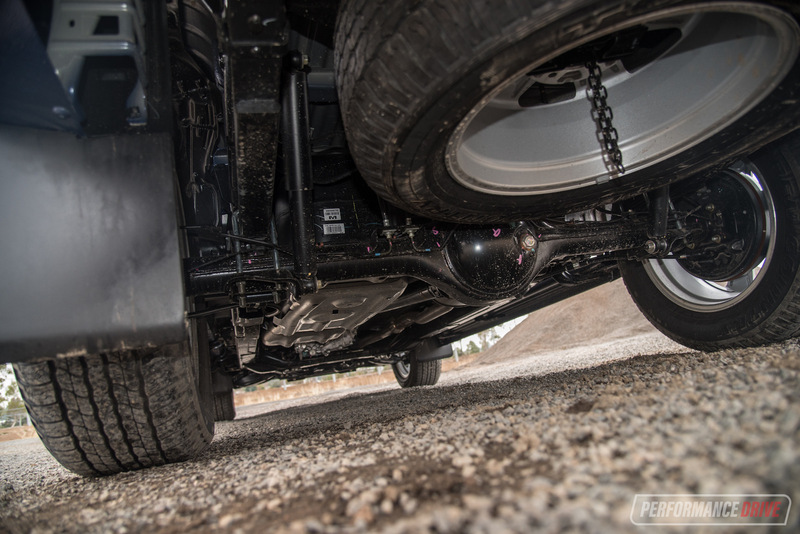 Speaking of cruising, Isuzu has made some refinements to the rear suspension for a more comfortable ride. Instead of five leaf spring units under the back end, the MY2018 has three. Isuzu has implemented higher strength steel for the spring units, reducing weight, while thicker rubber silencers are infused between each leaf for optimised friction. All in all, Isuzu says these changes help to improve ride without compromising payload capacity. 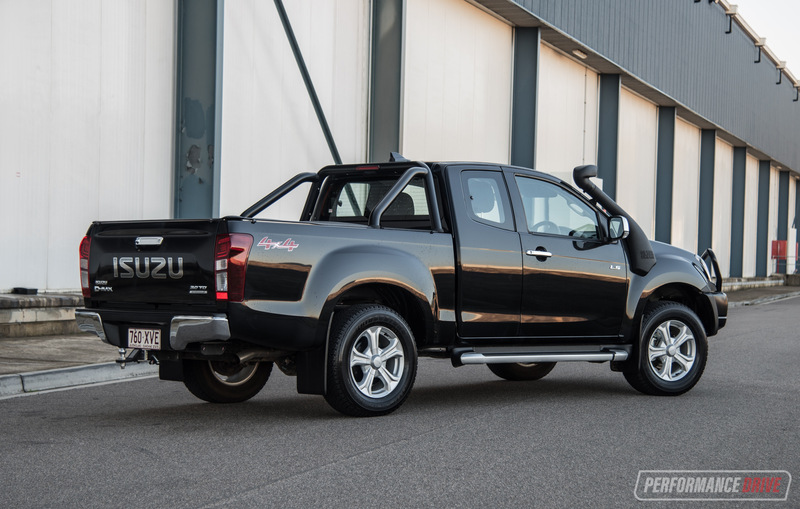 And to us, the ride quality in the D-Max is quite nice, for a ute, and does stand superior among some of the stiffly-sprung rivals. 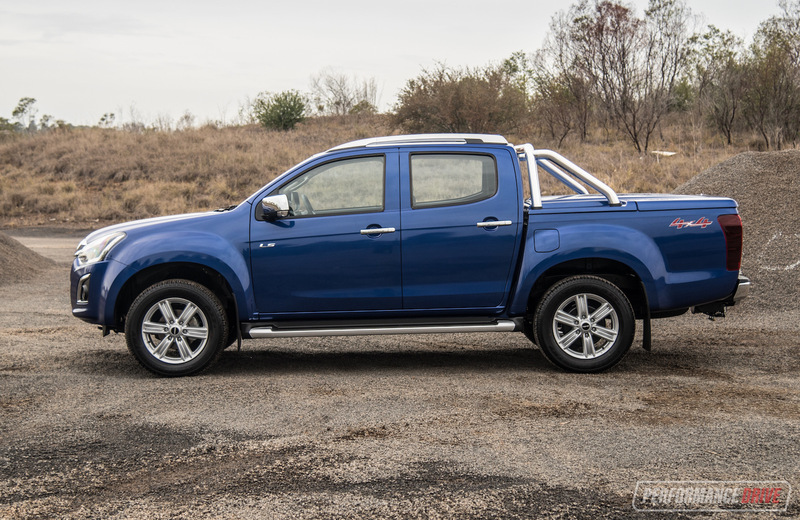 Fuel consumption on the highway drops to 6.9L/100km on the official test, with the combined cycle stamped as 7.7L/100km for the auto space-cab and 7.9L/100km for the slightly heavier LS-T dual-cab. During our test we averaged an impressive 8.9L/100km. 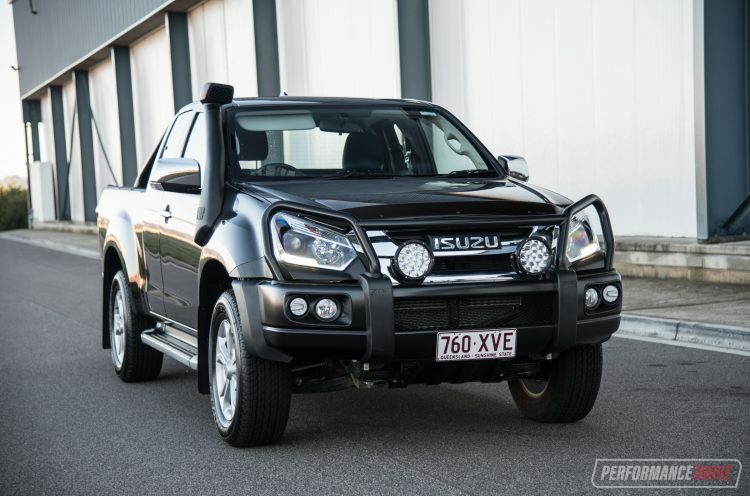 This, from memory, makes it one of the most economical 4×4 utes we’ve tested, in terms of our real-world figures. 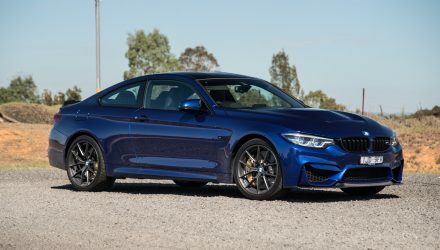 Obviously it all depends on the driving conditions and demands, but we find you don’t need to push the 3.0-litre engine as hard in normal driving conditions as some of the smaller-capacity units on the market. This might help with overall economy. 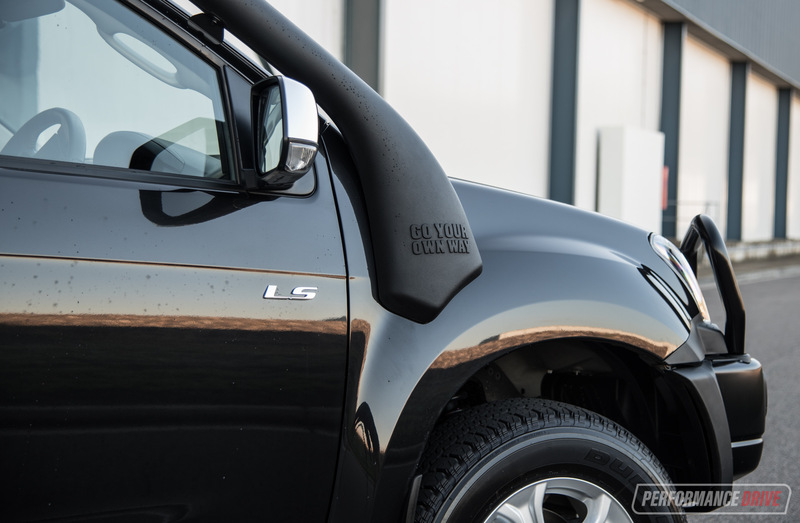 To help with off-road ability the D-Max LS-T and LS-U come with a part-time four-wheel drive system with switchable low-range. This is all controlled via a straight-forward dial on the centre console, allowing you switch between settings without getting out of the car. 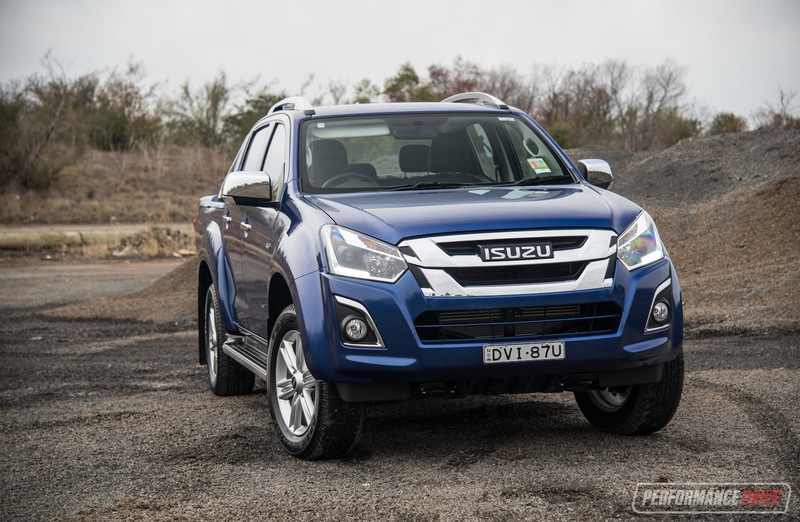 Isuzu is still refraining from offering a proper mechanical limited-slip differential at the rear axle, and doesn’t offer a locking mode like some of the rivals. For more serious off-road enthusiasts, these items will be missed. Although, the D-Max’s renowned ruggedness along with hill start assist and hill descent control, and a clever electronically-controlled brake-type rear differential, the D-Max will pull you through some very rough conditions without hesitation. For serious off-roaders, we’d recommend adding some aftermarket kit, and the genuine Isuzu bull-bar and engine snorkel. 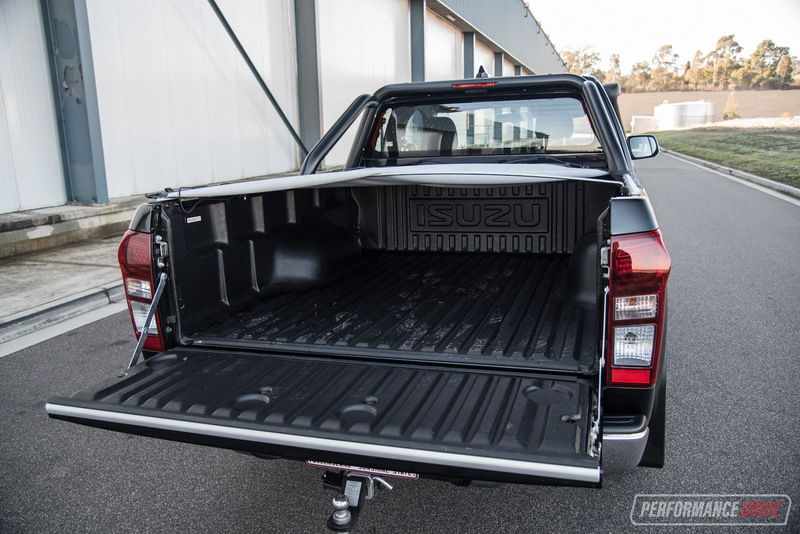 The Isuzu D-Max is an honest, hard-working ute. 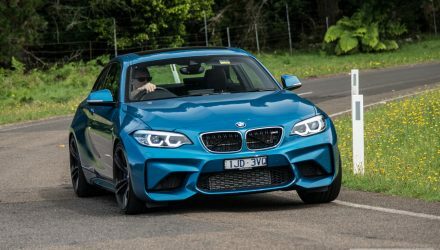 It does exactly what it says on the packet, and it will probably outlast a lot of the competition thanks to its sleeves-up attitude and proven mechanicals. Sure, it doesn’t set benchmarks for out-of-the-showroom off-road capability or set the tyres on fire with sprinting acceleration, but the ease of use and sheer practicality quickly wins your heart. 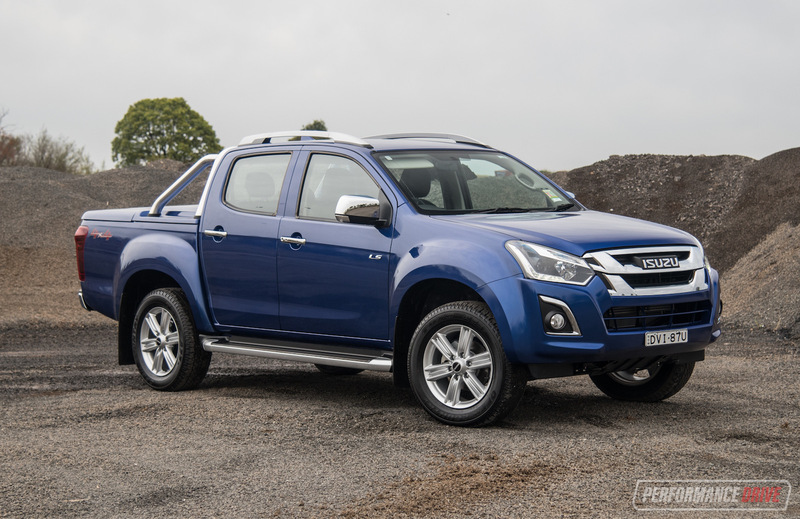 For the working class man or woman that simply wants a dependable, capable and experienced machine with decades of heritage, and now with added comfort and convenience and decent in-car technology, the new D-Max is a vehicle that deserves a thorough looking in to. It’s a tool eager to be utilised.